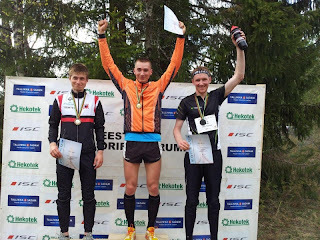 Finally, I am an Estonian Champion! Individually, that is. 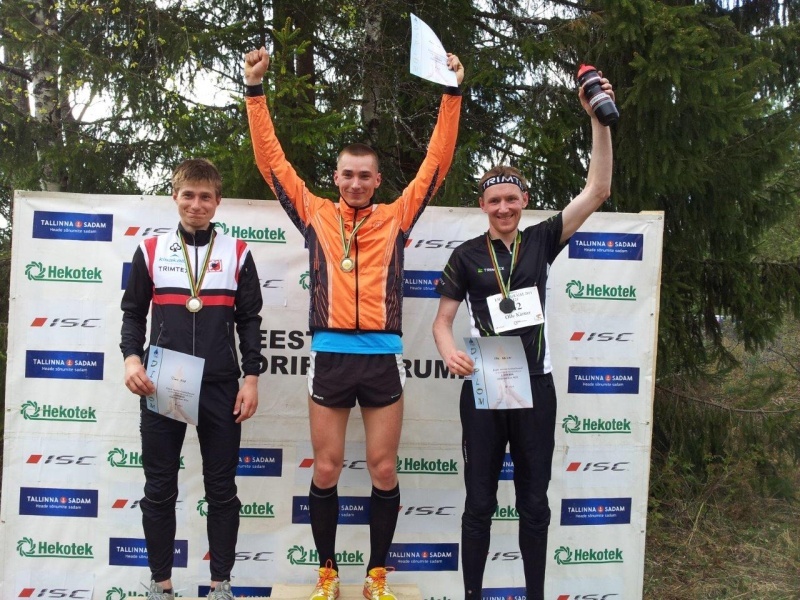 It was a very tight race, perhaps the tightest ever in Estonian middle distance Champs? I won with only a 4 second margin ahead of Timo. Furthermore, he defeated Olle by only 1 second! Peeter was a minute behind, followed by Kristo and Kenny within 17 seconds. It was an exciting fight until the very last finish! I was not feeling very sharp during warm-up and knew that it's going to be a fight with myself the whole way. The course was pretty straightforward, but had more or less all the components that a good middle distance needs. It was definitely fast and was as technical as the terrain could offer. Right from the beginning there was no doubt that I could not afford a too safe tactic and have to maintain high speed throughout the whole course. So my technical performance was very raw and rough around the edges - I didn't put much effort into micro routechoices. I just dove in, head first. Pushing too hard cost me two notable mistakes, but eventually brought the victory. Still this is not the way I want run, for example, at World Champs, where a fluent flawless performance in necessary to eventually achieve flow. I always try to find the reasons for the mistakes that I've made and I can usually blame myself for them, but these two mistakes leave me a bit restless. Going to the 4th I passed a small distinct waterbody, which is why I swung left. And going to the 14th, I crossed the narrow ride right by the foot of the small hill. I thought I had been running pretty much under the line. I'm not sure what to make of it, but I lost about 40 seconds on each. I've got some more good news! I have been selected to the Estonian Olympic Committee's „aftergrowth team“ along with many more young talented athletes. The 2000 € stipend I received is of great help and will surely find good use. Here's the news clip from the press conference. Firstly, Duncan is supplying me with the best possible training and competition apparel. Check out their webstore and I'm sure you'll find the necessary gear for all endurance sports at a good price! Secondly, Bestworks - a young company with strong able-bodied men offering mainly moving and transport services, but also taking on all kinds of different jobs that are requested. I you need something to be done, they'll make an offer you can't refuse! I am very thankful to all who have helped me on my way, or better yet, Our way. All this recognition is inspiring me more and more! 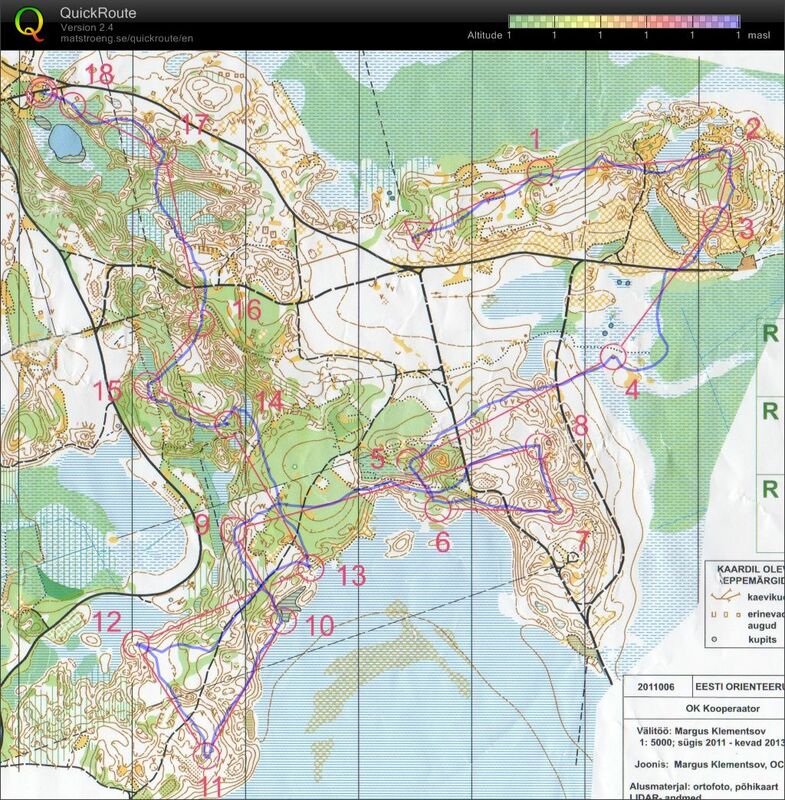 Coming up: Baltic Championships, with live GPS tracking on Saturday and Sunday.